The Christian devotional, Jesus Calling, which is one the best-selling books in the world today, out-selling Fifty Shades of Grey in the first half 2013, has a strong Australian connection. 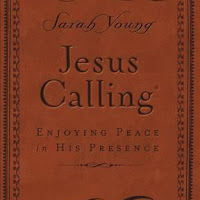 Author Sarah Young, who first released Jesus Calling: Enjoying Peace in His Presence in 2004, has been a missionary in Australia since 1977 with her husband Stephen and most recently they moved to Perth in 2001 to start a new church for Japanese people. They continue to serve that church, as well as developing other Japanese ministries for the Presbyterian Church of Australia, although it is reported they are planning to return to their home country, the United States, to live in Tennessee. 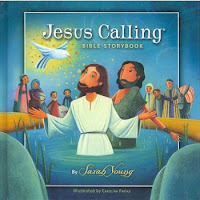 After selling 59,000 copies in the first three years, Jesus Calling sold 220,000 in its fourth year and according to Christianity Today, quoting publisher Thomas Nelson, sales of the book have doubled nearly every year since then, with the tally now reaching 9 million copies across 26 languages. This is despite Sarah Young remaining virtually hidden from publicity and marketing, granting very few interviews with even these usually done through email. She is reported to have serious and debilitating health conditions that prevent her from further exposure. But the sheer volume of sales, release of new versions of the devotional and the controversy that can sometimes touch Jesus Calling, continue to draw media interest and readers. The New York Times this week wrote about Jesus Calling and Sarah Young in an article, A First-Person Defense of Writing in Jesus' Voice. Referring to some theological concerns raised in Christianity Today the NYT approached Young for an email interview and refers to her answers and also to comments written her forward. Regardless of what theologians (and book review websites) may or may not say, many millions of people clearly have found something uplifting and encouraging about Jesus Calling. To make up your own mind, you can read the New York Times article, the Christianity Today article, or buy the book for yourself by clicking on one of the covers above.